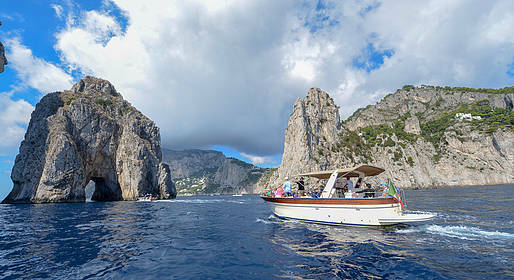 Capri Boat tour from Naples. 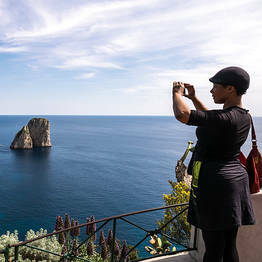 From: Naples - by You Know! 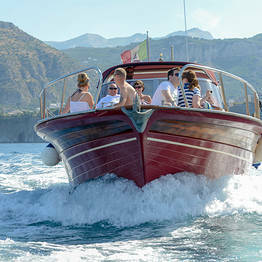 Board of a typical Sorrento boat and discover Capri from the sea. 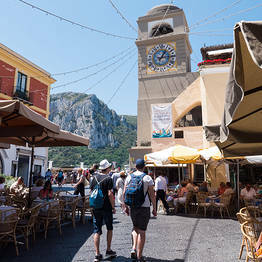 Tour all around the island, go for a swim or snorkel, then visit Capri by land. Pick-up at 8.30am at the meeting point Star Hotel Terminus or at the Bar Pic Nic, inside the Terminal Cruise and transfer to the port. 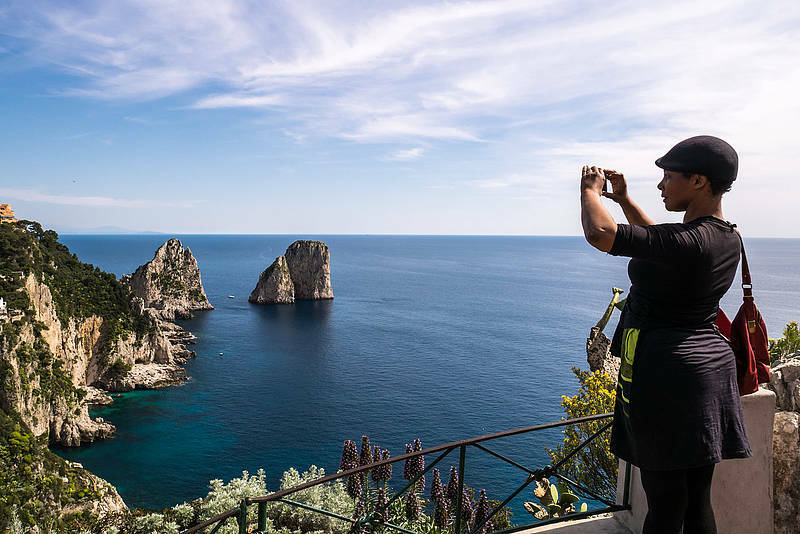 Arrival to Capri and sail around the island to see its highlights by sea: the Faraglioni, White and Green Grottoes, and Punta Carena lighthouse. 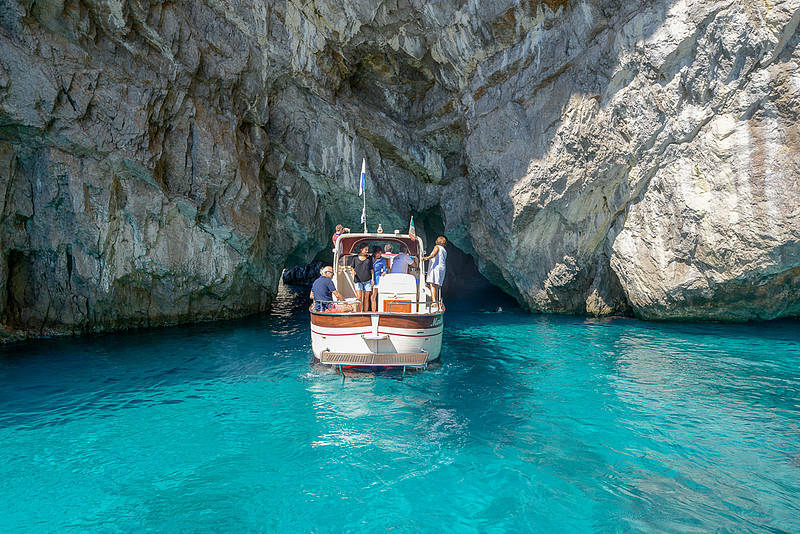 Stops to swim and snorkel in the most beautiful bay of the island. Drop anchor to relax with drinks and snacks offered on board by your skipper. 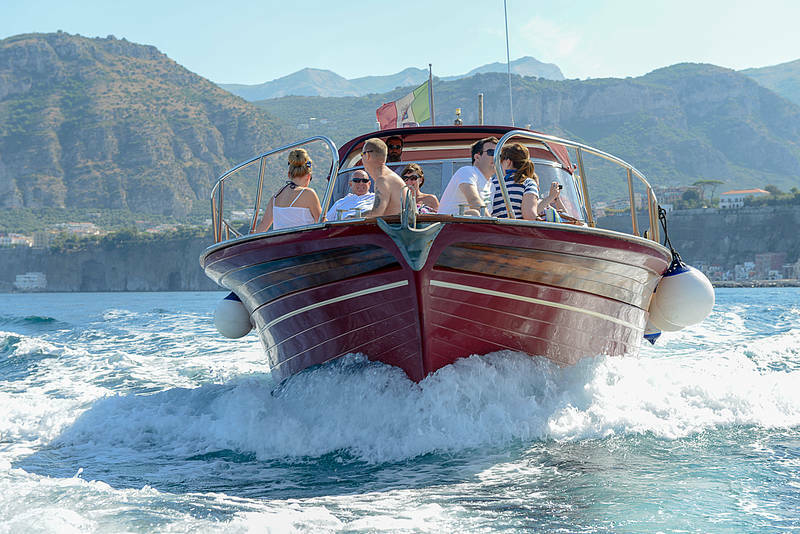 Free time to explore by land for 3 to 5 hours from Marina Grande. Limoncello tasting on board during the return trip to Naples. Return to the port and transfer to the meeting point at Star Hotel Terminus. 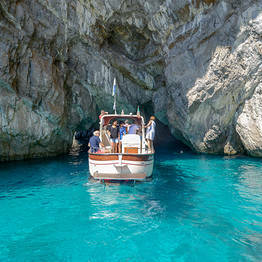 Snacks and beverages, life jackets for adults and children, snorkeling gear, and wc are included on board. 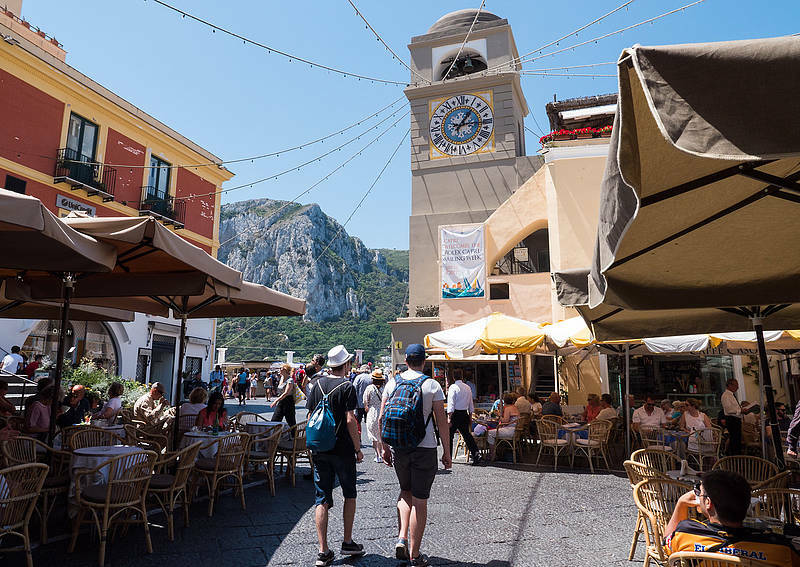 Meeting point: Bar Picnic at the Stazione Marittima di Napoli (where the cruise ships dock) at 8:30AM. We offer a transfer from the Hotel Star Terminus for those arriving from the station. We will provide complete information regarding the meeting point upon booking. The tour lasts 9 hours. Code: SVT7W By You Know!